Are you paying the bill with a chewed up dog toy? You know, the wallet you have that looks like your pet chewed on it..
You’ve carried it around for what seems like ages, but now the leather is worn, cracked and faded.. And the wallet’s stitching is hanging on by literally, a thread. Well, perhaps it’s time to enjoy a new one..
Here’s where I come in to help you out. Below you’ll find the top 17 best cool wallets for men. A 2015 guide of the most stylish picks across a handful of different men’s brands. From leather to more exotic materials like carbon fiber, surely there’s one perfect for your back pocket! Five slots and genuine Nubuck leather, it’s what you get from this Artius wallet. The design is simplistic, modern and a bit contrasting with grey and brown leather. On the inside there’s two separate bill compartments and a see-through mesh ID window. Looking for a wallet that’s a little bit flasher? The boldly printed CK logo on this wallet will do the trick. The subtle black and dark grey letters make it stand out from the traditional approach, but it’s oddly enough, still sophisticated with a nice touch of personality. On the left-hand side you’ll find four slots for storing your credit cards and ID. On the right a small coin pocket and compartment for bills. It’s smaller on room but if you prefer a lighter back pocket, it makes for an excellent choice. Calvin Klein brings you a key fob and wallet set perfect for any guy on the go. In colors of black brown, dark and light gray, or pine, the wallet is crafted of genuine leather finished to a buff, buttery gleam. While it is a bit larger than some wallets at 8.5 by 5.2 inches, it’s slimness and light weight are a definite bonus. The bi-fold design provides ample storage for currency and with plenty of slots for cards, you can carry everything you need. If you’re looking for something as durable as leather with more resistance to the elements, check out Coach’s signature compact billfold. It’s guaranteed to stand up to whatever the elements have to toss its way. Measuring approximately 4.25 by 3.75 inches, it comes with ample card storage and two separated bill compartments for anything you’ll need to keep close at hand. Coach has produced a slim billfold that has everyone clamoring for more just like it. Crafted from highly finished bi-color leather, this wallet allows you to take only what you need, in style. Three card slots, one ID window, a full-length cash compartment, and several inserts allow you to customize how much storage you require. 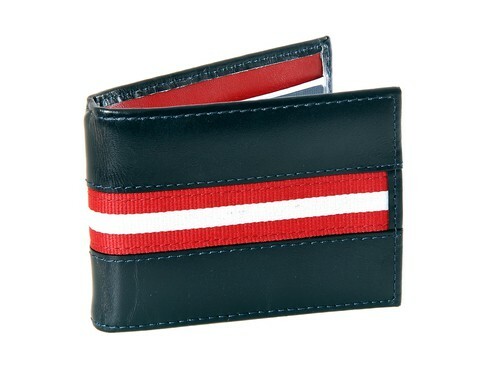 The wallet measures approximately 4 by 3.5 inches and weighs less than three ounces. If you’re in the market for something durable and different from the typical men’s leather wallet, check out Common Fibers Men’s Max Carbon Fiber wallet. 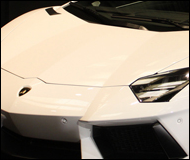 It’s crafted from aerospace-grade carbon fibers, and looks pretty cool, besides. 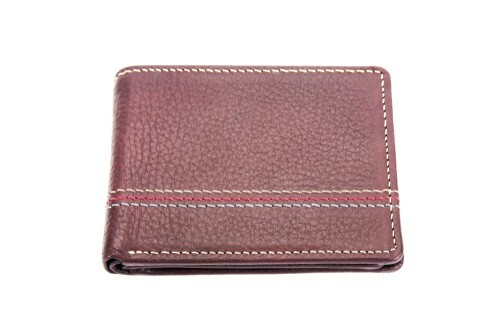 This highly durable and well-made wallet comes with six card slots, two side compartments, and a currency compartment. It’s compact, lightweight, and cutting edge. Guess brings you the highly crafted distinctive look for which its famous with this compact billfold wallet. Not just crafted from genuine leather, polished to a high shine, the exterior is patterned with embossed squares. Measuring 3.25 by 4.25 inches, this billfold comes with 6 card slots, a removable identification sleeve, and a full-length currency pocket. 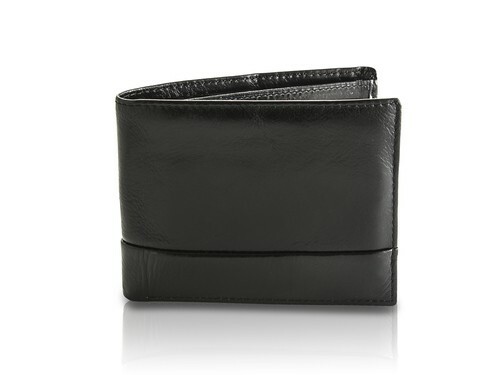 If you have need of some serious storage for bills, cards, and even separating currencies, this Gucci Men’s Black Calf Leather wallet. Not only is it highly styled and handcrafted for long use, it also imparts a distinctive impression with a red web strip on the discretely pebble-finished exterior. With eight card slots and two full-length cash pockets, this wallet means serious business for men who are serious about quality. Herschel Supply Company does it again with this Lyle wallet crafted from premium veggie tan leather. 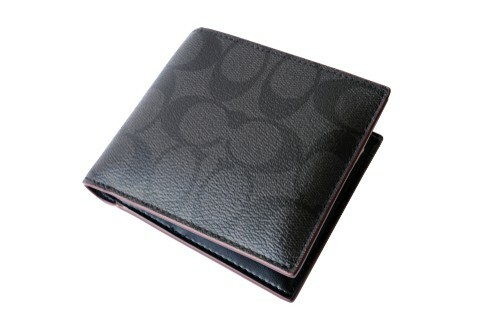 Ample card storage and an easily accessible cash pocket make this slim customer a popular choice. The craftspeople at Herschel offer this stylish billfold in pink or black, making it attractive to all customers of varying tastes and needs. Have you ever dropped your wallet in the dark and spent time trying to locate it? This wallet takes the stress out of a potential scenario and is always easily found. While it’s a traditionally stylish wallet with ample card slots and a bill compartment, Herschel Supply Company’s Roy 3M Reflective Wallet is faced with specially designed 3M reflective material on its exterior surface, allowing you to easily locate your billfold in the most minimally illuminated circumstances. If you’re looking for something a little different, consider this Jack Spade Men’s Mitchell Passport Case. It’s made of smoothly finished, genuine leather, with discretely attractive contrasting stitching. It has an interior flap for securing your passport and ample slots for card storage. If you’re planning to travel abroad, this is just the ticket to keep all your pertinent possessions stylishly close at hand. Kenneth Cole brings you this elegant yet durable billfold for whatever endeavors await you. The Durango Leather Passcase presents a subtly pebbled leather exterior. Inside, you’ll find a divided bill compartment and plentiful slots for cards. 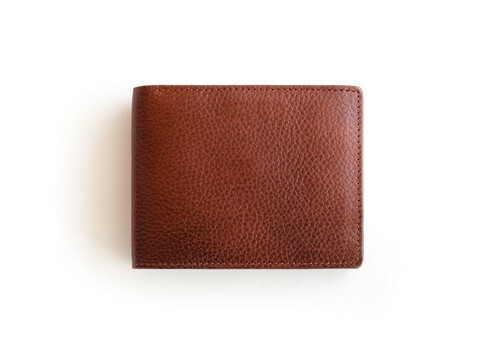 It has a removable identification sleeve for those who need a sleeker, more pared-down wallet profile. Wherever you go, go with style, confidence, and comfort. The visual interest created by the perforated leather detail on this Perry Ellis Cali Passcase Wallet matches quality with an edgy image. Ample slots for cards and identification front a full-length compartment for cash. They take a different path from the traditional leather colors usually avaialbe and offer a soft gray or a striking navy hued product. This wallet is comfortable, compact, and receives full marks for style. Swanky. That’s one word that would describe this traditional Missouri Bifold Leather Wallet from Perry Ellis. Made with a traditionally grained, polished leather exterior, this efficient billfold hides a surprise pop of color within. Available in a toasted cocoa with pumpkin accent or a soft grey with cerulean accent, there’s plenty of space to store cards and identification and a full-length compartment for currency. Tommy Hilfiger brings you a simple, slim option when it comes to wallets without taking shortcuts on any of the quality essentials you require. Made from cowhide leather, this wallet measures 4.3 by 3.3 inches and weighs just eight ounces. It has everything you need to carry your essentials and cash, without any extra bulk and comes in tan, brown or black to suit your tastes. Functionality and understated beauty join forces in this Tumi Men’s Delta Double Billfold. Available in black or brown, the craftsmanship is apparent in every feature. Napa leather provides a buttery finish inside and out, with striking red accent stitching. Measuring 4.5 by 3.2 inches, this billfold weighs 5.6 ounces and is equipped with eight card slots and two pockets. Take charge with this Tumi Monaco Double Billfold. 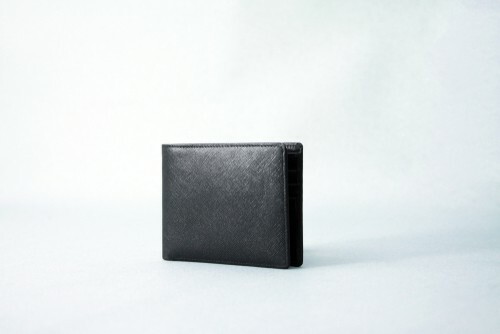 With a unique textured leather exterior in two bold choices of cobalt or black, this wallet features a calf skin lined interior, full-length cash compartment and plenty of space for debit cards, credit cards, and identification. Measuring about 3.5 inches in height and just under five inches in length, this seven ounce wallet fits comfortably in any back pocket. Wurkin Stiffs Slim RFID Bifold Wallet is an excellent choice for those who don’t feel the need to carry a full sized or bulky hip wallet. Crafted from leather, it measures a mere 3 by 4.5 inches. Its uniquely textured exterior presents a sober face to the world, which hides its inner nature—your choice of seven shades, ranging from sedate black or gray to brilliant yellow.